The public response to the axing of The Religion Report and other specialist programs late last year by ABC Radio National management was astonishing. Thousands of people came out to support the programs, particularly The Religion Report. I wrote personally to the prime minister and seven weeks later received a letter from the Department of Communications. Every paragraph began 'I am advised that ...'. The problem was that much of the 'advice' was wrong. I know because as former Specialist Editor of Religion I know the history thoroughly. The problem is that Mark Scott, managing director of the ABC, knows none of it. Originally a Fairfax manager, Scott has no experience in the electronic media, is besotted with technology and has little or no editorial and content experience. It is time to tell the whole story because what has happened to The Religion Report is the tip of the iceberg and is part of a much larger picture. The real issue is about the future of a viable specialist unit covering religion in ABC radio. TV is another story. This all goes back to the 1980s. Since then the religion unit has faced a war of attrition from secularist elements who see belief as a purely private affair with no part in public discourse. These elements came mainly but not entirely from within the ABC itself. The unit has survived and maintained its independence with support from the churches and religious communities. In the early 1980s religious TV and radio were split. With the establishment of Radio National in 1985, the radio religion unit was placed under the management umbrella of Radio National, but was commissioned to produce programs for other networks. This arrangement was described at the time as merely a matter of administrative efficiency. The religion unit maintained its own distinct identity, editorial control and budget resources. When changes to religious output on both Radio National and other networks were contemplated, the head of the religion unit was actively involved in discussions regarding both the disposition of staff and the editorial content of programs. This has been made abundantly clear in a series of letters from management and the Board. Essentially the present controversy has erupted because Dr Jane Connors, the current head of Radio National, and her executive group, have taken a decision to alter significantly the editorial and staffing arrangements of the religion unit without consultation with the executive producer of religious programs. Connors is operating on the assumption that the religion unit as well as its budget and staff are at the sole disposal of one network, Radio National. This is inconsistent with past practice. It affects the capacity of the unit to maintain its output across other networks and maintain specialist depth. Most significantly it raises the question of whether the unit has any discrete existence, or is now simply a group of program makers within Radio National to be disposed of as its manager decides. This decision is driven by ideology. It springs from a post-modern, secularist belief that religion is dying, is marginal to life and doesn't impact on the key issues that influence our world. When you point out that religion has become a central issue in post 9/11 politics, secularists shift ground and say: 'Well, it can be covered by general journalists in current affairs'. This is based on the belief that any journalist can do everything. What has happened subsequently? A unique ecumenical group of religious leaders including the Anglican, Catholic, Jewish, Muslim and Uniting communities, with support from other religious traditions, got together and wrote to Scott on 15 December 2008 requesting a meeting. Scott didn't reply until 28 January 2009 and eventually met them on 6 February. The religious leaders asked Scott that the ABC (1) maintain a religious program unit with appropriate staff, editorial and budget resources; (2) return a dedicated religious current affairs program to the schedule along the lines of The Religion Report under the editorial control of the religion unit; (3) that specialist religious journalists continue to be employed and supported by the ABC. Scott's responses were totally inadequate. He put the whole issue on an even longer finger saying that decisions would have to wait until a new head of radio was appointed in the middle of 2009. So we're back to square one. Two comments: clearly this matter will have to be taken up politically, especially with the ABC's triennial funding up for review very soon. And it would be ironic if a discrete religion unit disappeared while a self-confessed, practicing evangelical Christian was managing director. Paul Collins was Specialist Editor, Religion for the ABC from 1991 to 1995. I think it is important in issues such as the axing of The Religion Report on the ABC to put principles before personalities. Paul detracts from his argument (with which I agree)for a discrete Religious Affairs Unit by dismissive remarks about some of the personalities involves - Jane Connors and Mark Scott. It would be ironic if advocates of the return of The Religion Report had to resort to irreligious (read - political) methods to achieve their religious (read - otherworldly) goal. The disappearance of the Religion Report is no great loss. Like similar programmes on the ABC, it was riddled with ideologically-driven liberal hang-ups and biases against the Pope, Cardinal Pell, Catholic teachings and moral values. Complaints were fobbed off. Thanks Paul for your informative explanation. Like so many others I was outraged that the Religion Report was discontinued. I wrote letters to express my concern but the official response was a meaningless political statement. How much out of touch are the secularists with the wider world of religion which is one of the most powerful forces in the global scene. The ABC is now like a bowl of very plain breakfast cereal - bland but somehow good for you! Thank you for this article. I miss the Religion Report very much and have been wondering whether any ongoing dialogue is happening. There is nothing new about the ABC's attempts to rid itself of a distinct religious department. It was being tried out when Dr Cramer was chairman.Claims that a shortage of resources was the reason were patently dishonest but the epartment itself was not free from ideological assumptions and the Religion Report was as guilty as anyone else. But any argument that interest in religion has abated is not borne out by the evidence of areal resurgence in religious enquiry, though not necessarily belief. Thank you Paul! I suggest we should all start writing again to the ABC to try to encourage a true conversation between Management and listeners. And it seems that now is a crucial time as we are starting to approach the "middle of 2009". Let's try to get the Religion Report back onto Radio National. Thanks Paul for the background. It certainly does not need to fade out of existence. It was too valuable for that. We all need to keep pushing for it to remain as vibrant as it was. I find disturbing and worrying, the assumption in some of your respondents - and also Paul Collins' piece - that it's only those of faith who are interested in the issues raised by both The Religion Report itself and its 'unholy' abolition last year - not the mention the treatment of Stephen Crittenden. I'm a secular humanist - I'm not a theist of any description. compass is fine so far as it goes, but it's very much Geraldine doogues' personal approach - we need more than that. I was one of the many people disgusted with the ABC axing the RN Religion Report. I thought it was an unbiased informative program. But what can I do about it. Kudos to Eureka Street & Paul Collins for the courage and insight to publish this! I wrote directly as well as to more influential others, in the former instance eliciting predictable replies. Others better positioned to press the point were treated with a degree of evasion and obscurantism bordering on disrespect. This makes Stephen Crittenden's daring stand all the more admirable and principled. Would that his colleagues had stood by him to force the issue into a management backdown! As an aside: there's no irony in the Managing Director being a self-confessed, practicing evangelical Christian. These, and not just the secularists and postmodernists, are precisely among those who would shut down a program with a strong emphasis on politics and social justice. Given the state of the world, with jihadists on the brink of an Afghan victory and the Pope reconciling with Holocaust deniers, the fight has only just begun to restore religious affairs to its rightful place in the discourse of public affairs. Paul, As a descendant of black-hearted Protestants from Ayrshire via Victoria and now to where I am, Australia, I find your explanation nothing short of which I had hoped to eliminate from my background. Who has the right to access the views about spiritual values? I listen to The Religion Report and other ABC programs such as Encounter, The Ark, Ockham's Razor and The Spirit of Things on my iPod as I go for a walk each day. I appreciate the wide view of the world of religious belief and politics that Stephen Crittendon has been able to provide. Let's not lose this view of the world. Bring back Stephen. Thanks for that - I am frequently scouring for news of 'what next' with TRR and RN. Ironically, TRR pulled me into Radio National. It was through TRR that I persisted with and became interested in other programs. I miss it terribly and have been scanning international networks unsuccessfully for comparible podcasts. I now find RN arty-farty and bland - largely irrelevant to rural and remote australia where I live. Bring back the current affairs. I am surprised that this decision is being put down to some kind of ideological secularism. I am an atheist and a secularist, and I can't understand why you'd want to pretend religion doesn't exist any more. The axing of The Religion Report and The Media Report had seemed to me to reflect a more conservative agenda - that these areas of national life are to be excluded from any kind of meaningful criticism. But what do I know? Bravo, Paul! My own letters to both Canberra & Scott too received inadequate pro-forma replies. However, we must be cautious in our interpretation of the ABC's Charter & Editorial Policies. They demand a wider & deeper reading of program content than a simple concession to conventional churchiness. The interests of church-goers, dissenters, & new contemporary views of the religious impulse are demanded by the ABC Act. 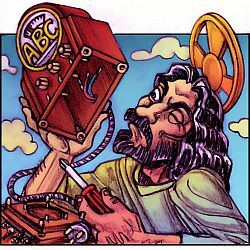 Regardless of where one sits in the spectrum of belief/unbelief, ABC programs are obliged to address the entire gamut of responses. The question is :- do the programs replacing The Religin Report fulfill this obligation under the Charter. To my ear, barely & inadequately. I used to listen to the Religion Report every week while we were living in Ireland. Please bring it back. I guess the next thing that will go is the Law Report, or the Science Show because some manager at the ABC thinks they are totally superfluous to ordinary Australian's need to know about what is going on in law and science. Don't forget late on Sunday nights you can listen to J.Saffran and Father Bob. Not a replacement for RP but interesting and stimulating. The ABC's decision clearly is part of a 'secularising of society' agenda being pursued by the media since the mid-1990s. The aim is to expurgate any discussion of religion and spirituality from the community - along the lines of Dawkins' scientific fundamentalist agenda - and which will assist in ensuring that the religious impulse, even in cynical Australia, remains alive and even weller, to distort the syntax!! Go for it, ABC Board, you are helping to ensure the thriving of intelligent and intelligible spirituality in Australia today!!! I have long sought to make meaning of my own beliefs and I do this in exploration with others. That diversity and challenging inquiry The Religion Report brought leaves an unfilled hole. There is nowhere else in the national media that helps bring that level of perspectives to my place as an Australian in the complex meeting of religious and secular worlds. One only has to look at the financial crisis to see what happens when we in group think, we dumb down and attempt to isolate and insulate ourselves from other realities of what lies underneath. Just because they are not spoken does not mean they do not exist. It is with regret that we have noted the removal of The Religion Report. We have listened to it on Late Night Radio in Canada with great appreciation for the depth of its coverage. Hopefully it will be returned to broadcast with a solid base of support and security behind it. Thanks for the clarification. I am an atheist but a student of religion, in the belief that it informs everything that happens in the world and even secularists need to understand it, if they are to understand why religious extremism disrupts their lives. The decision by the ABC is disgusting and I ask what is the point of having devout people as out leaders when they allow these travesties to occur. The ABC is more than secularist, it is run by right wing economic fundamentalist extremists foisted upon it by the previous government. They are head-in-the-sand ideologues who lack the skills, ability and competence to run public institutions. Collins is right. Only a concerted political campaign targeting the religious mafia (Rudd, Abbot et al) can rectify this heinous wrong. The reason The Religion Report was of interest to me as a "secularist" was precisely because it was expertly put together with enough inside information and willingness to be controversial to make it of interest. It helped inform one about the diversity within mainstream beliefs and reinforced the necessary sensitivity to the vitality of religious influence in society here and overseas. That job simply cannot be done adequately by gifted generalists; you need a special interest specialist core to drive the thought. Thank you Paul Collins for explaining the background to what I thought to be a mystifying instance of an institution shooting part of its brains out. For me the key issue with all the recent cuts to RN is that ABC management does not seem to understand their responsibilities to their shareholders - all Australian citizens. Let's hope that, with the arrival of Julianne Schultz and Michael Lynch on the ABC Board, the Board can summon up the courage to INSTRUCT ABC management to come out of hiding and engage with their constituency. Let's hope the Board will become more transparent, too. As one of my friends has said, where now can intelligent atheists go for religious views and news. I too wrote to the ABC but got a long delayed and insultingly bland reply. I can't tell you how much I miss The Religion Report. Whatever one's beliefs, religion is important. I'd see the axing of specialist programs as part of dumbing down of the ABC. If you have a specialist area of inquiry and learning as your subject area to start with, you can focus even more sharply and intensively on the interesting events and ideas within that area. It's a way of getting more detail and expertise into your program. The more general programs have to range over a wider and shallower field, a bit of this and a bit of that. Not so satisfying to the listener who's after new information, interpretations and ideas. I'd agree with the writer who suggested that some people don't think religion (especially theirs) is a subject for scrutiny by anyone either outside or inside it. I think it is disgusting how the ABC has treated Religious programs. I remember the time when they had a TV broadcast from different Australian Churches on a Sunday, like Songs of Praise. Their Easter amount of programs was absolutely pathetic. Melbourne had the strange experience of reading and listening to bushfire reports for five days while neither seeing nor smelling smoke. When the mind has no sensory leads to interpret, words become critical.